ADULT TENNIS DRILLS: A great training for intermediate-level players and above. A perfect way to hit a lot of balls, incorporate a mixture of drills, strategy sessions and work on overall fitness, supervised strategy and match play. A maximum of 4 students per court. After our Drills sessions, you will leave the court a more confident and more skilled player. 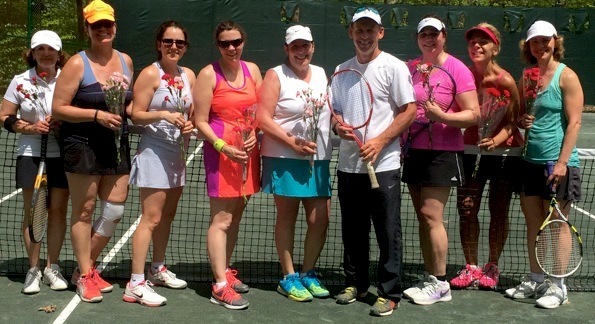 ADULT BEGINNER CLINICS: A great way for new players to learn the game of tennis and enjoy a new healthy lifestyle. Our Professional Tennis Coaches will work on fundamental strokes: forehand, backhand, volley, overhead and serve. We keep our clinics enjoyable - with a lot of fun.